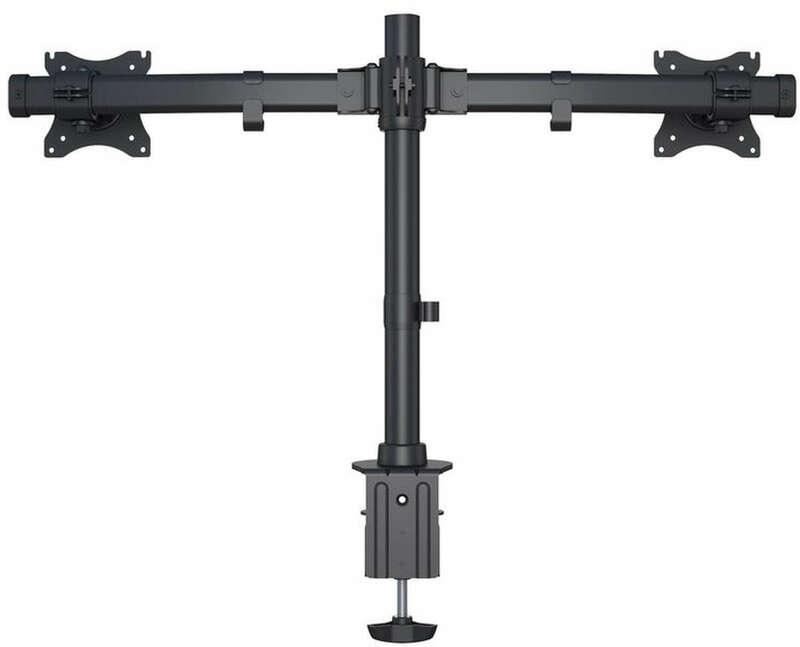 Multibrackets M Desktopmount Basic Dual - Table mounting arm for two LCD displays. 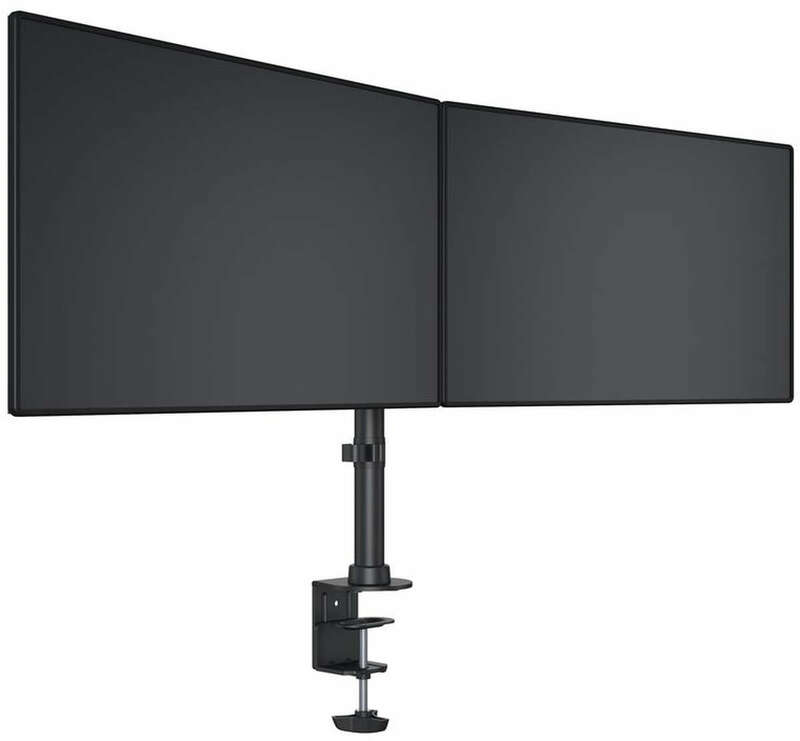 Black finish, screen size: 15" - 27"
Flexible, sleek and streamlined, the M Desktopmount Basic Dual frees up space and allows positioning of your display for greater productivity. 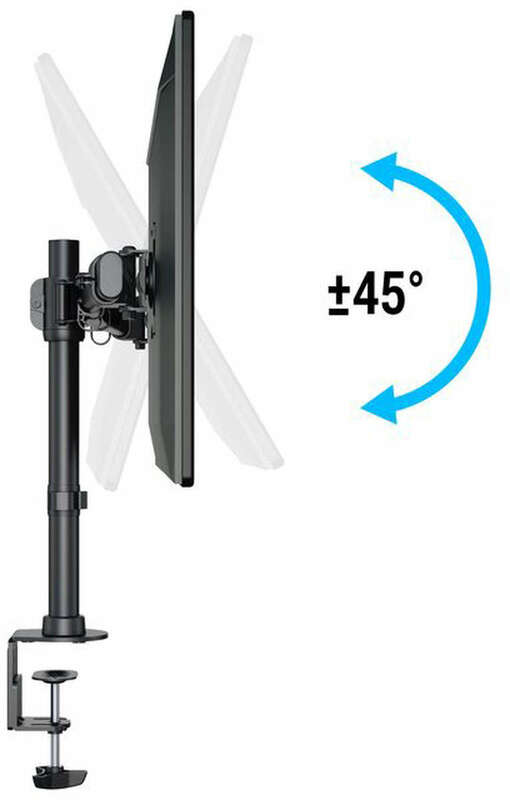 Easily adjusts through up, down, tilt it forward or backwards it is just a matter of preference. 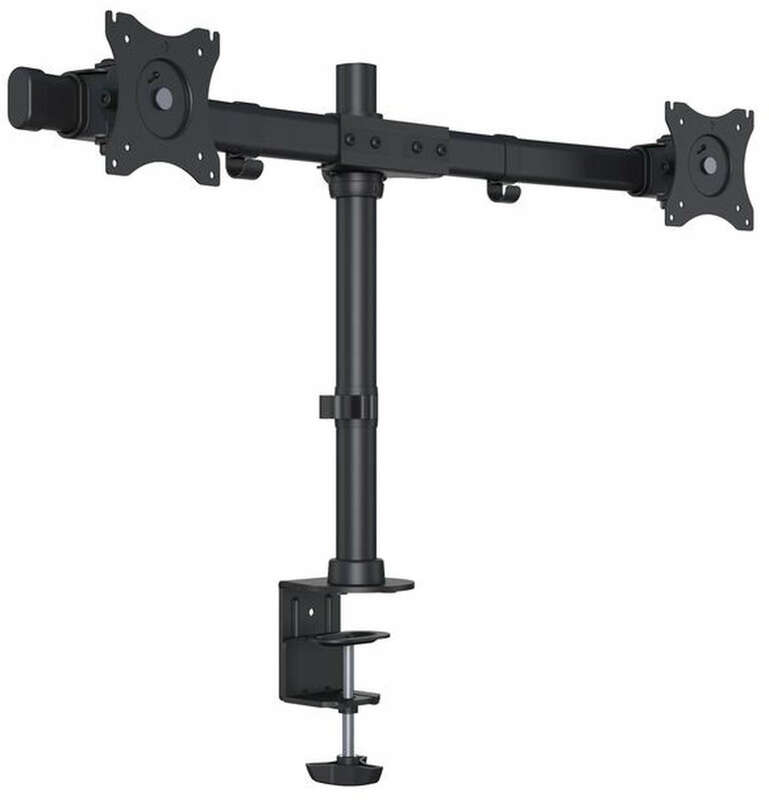 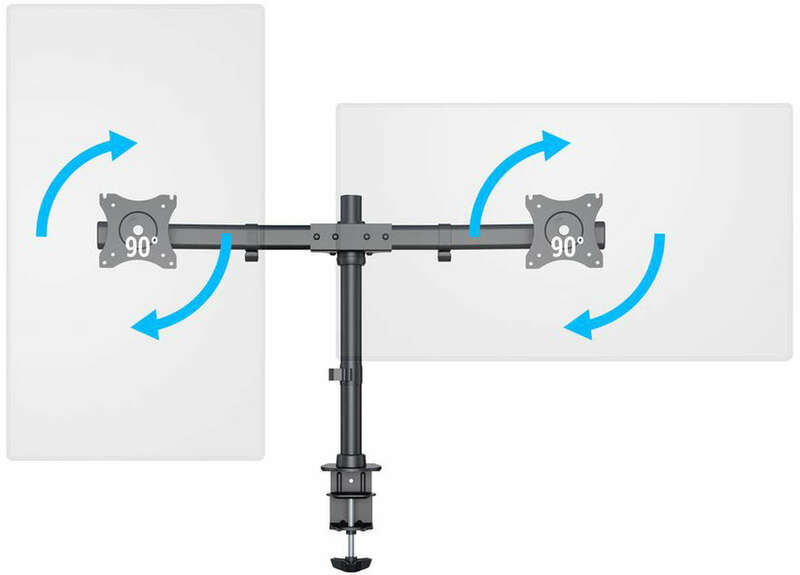 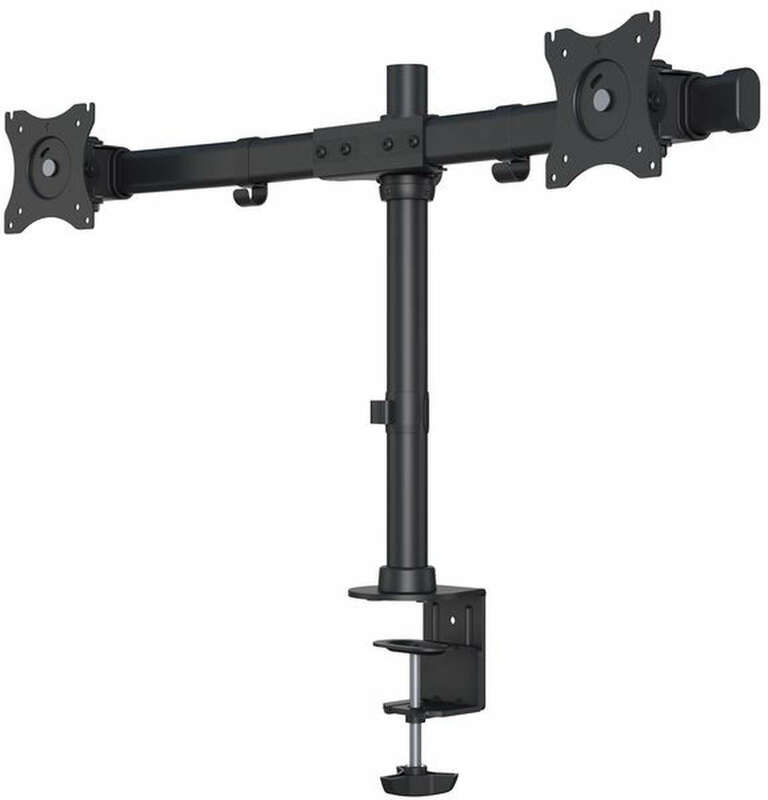 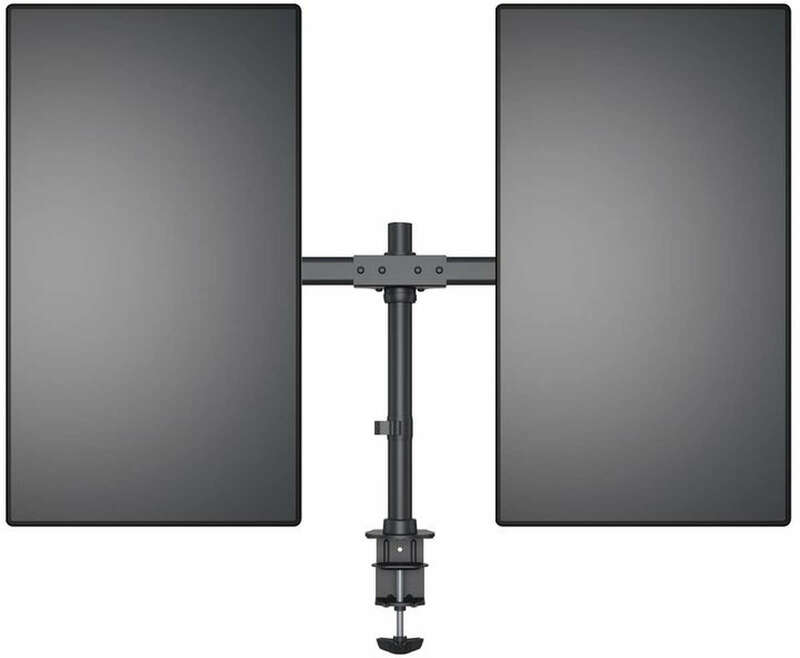 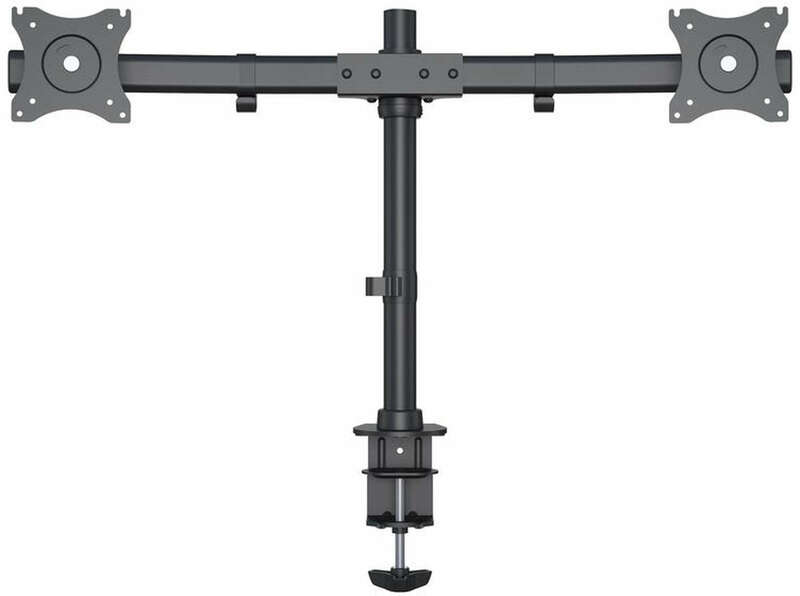 Works with almost all LCD screens on the market supporting VESA standards of 75/ 100mm holding screen weight up to 10 kg.